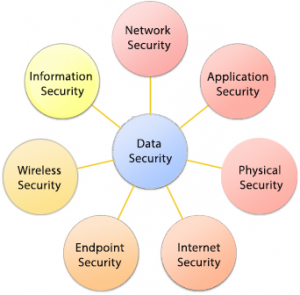 Where do you stand in data security and PCI compliance? Find out with the Risk assessment tool link below. Omega solutions bring the best of both worlds. Today’s merchants face a complex and growing data environment, often with shrinking IT budgets. With Omega, your data security and retail systems management work hand in hand to strengthen your defenses and streamline your entire IT system. By simplifying routine tasks, Omega security solutions save time and money, freeing your IT staff to focus on growth and profitability. Are your stores at risk for a data breach? Find out with our free Risk Assessment Tool. Control your retail environment. Omega puts you in charge. Do more with fewer IT resources. Our hosted service, OmegaSecure, provides a single pane of glass solution to consolidate retail systems management and data security across your stores and home office. So you can manage the network, systems and security for all your stores from one central console. By automating hundreds of routine IT tasks, OmegaSecure eliminates many of the headaches and costs of data security and systems management. So there’s no need to bring on additional personnel or equipment. And your IT staff is free to focus on improving service and driving growth and profitability. When you work with Omega, you get an experienced Security Strategist dedicated to your company’s success, not just a sales rep. Call on your Security Strategist for help with completing the SAQ, conducting operation-wide compliance reviews, anytime you need expert advice on retail data security. For simplified, world-class management and protection of all your systems, servers, workstations, POS systems and devices, call on Omega . And bring savings and efficiency to your complex and growing retail environment. How vulnerable is your operation? Find out with our free Risk Assessment Tool.